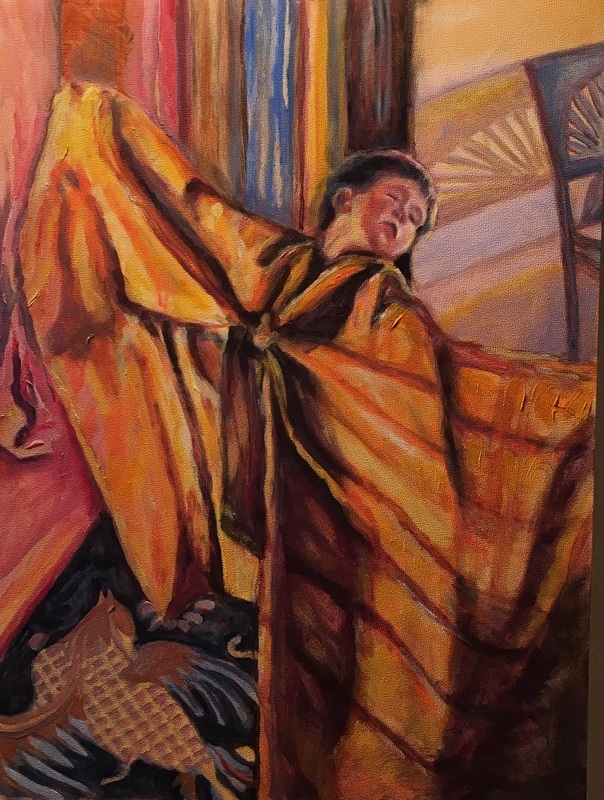 The Trinidad Art Gallery is showcasing the literary and visual works of artist, author and educator Susan Mayclin Stephenson in January. 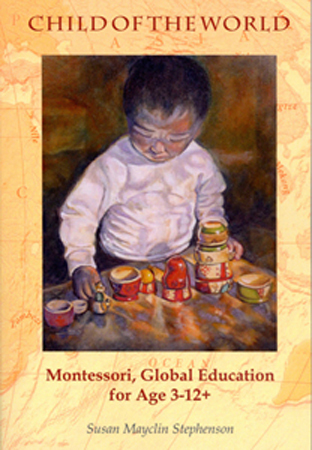 The gallery — located at 490 Trinity St. — will feature Stephenson’s four Montessori education books as well as her paintings of local and faraway scenes. 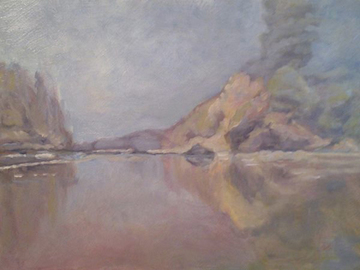 Stephenson — who has been creating art since high school — was a Montessori teacher for years. 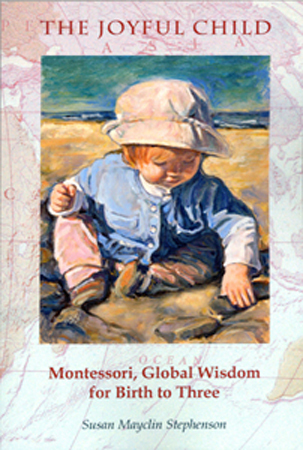 She was first trained in London in the early 1970s and later earned two more graduate diplomas from Association Montessori Internationale, the organization started by Dr. Maria Montessori to keep the level of teacher training at a high level. Stephenson taught for more than 20 years, working with children from age 2 through high school. After teaching parents how to share their daily lives, interests and hobbies with their children in positive ways, she decided to start writing books. 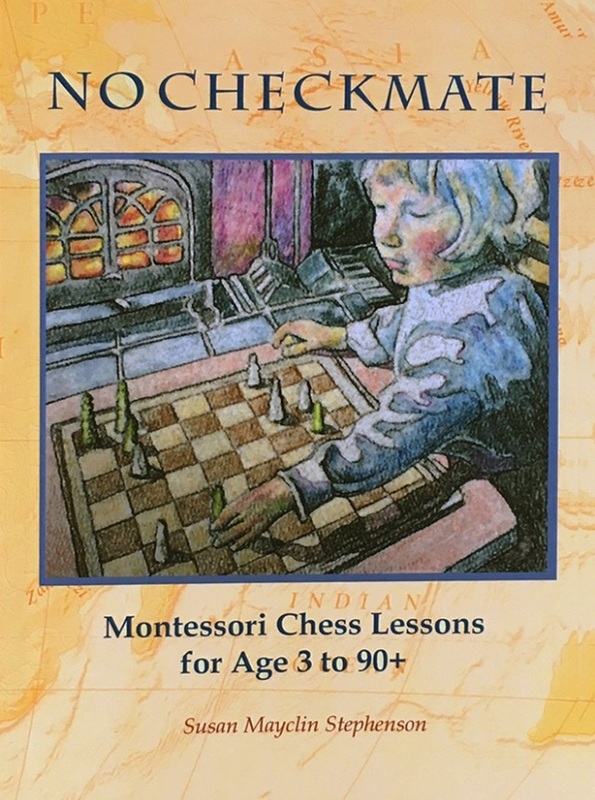 Her latest book, “No Checkmate, Montessori Chess Lessons for Age 3-90+,” is designed not only for those who want to teach chess to children, but also for adults who have always wanted to learn to play the game themselves. 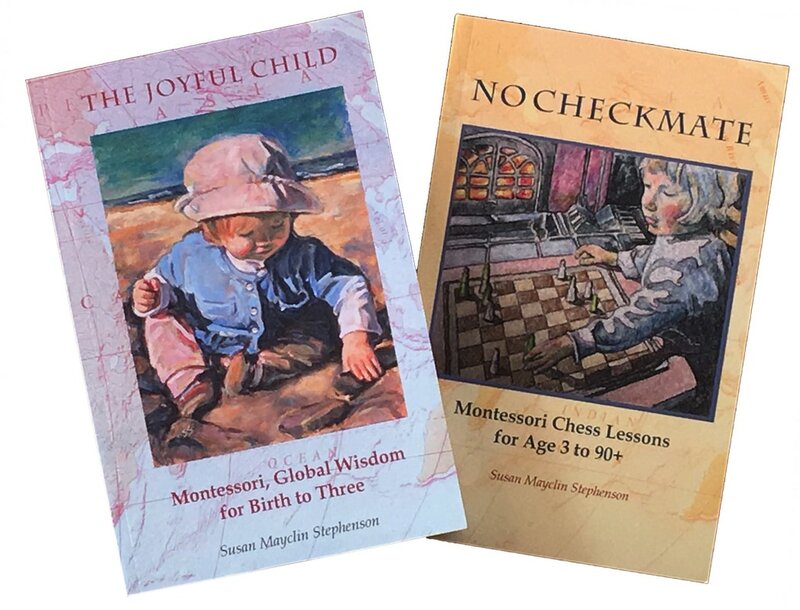 Stephenson’s book, “The Joyful Child: Montessori, Global Wisdom for Birth to Three,” has been translated into Portuguese, Japanese and Vietnamese and more translations are in progress. It has been used as the text for an online parenting course in Japan and has reached parents in hundreds of villages in Vietnam, where families who live in poverty are learning to support the best development of their children, she said. The Arabic translation, still in progress, is already assisting children in orphanages in Morocco. Stephenson says she’s thrilled that her work is being used around the world. 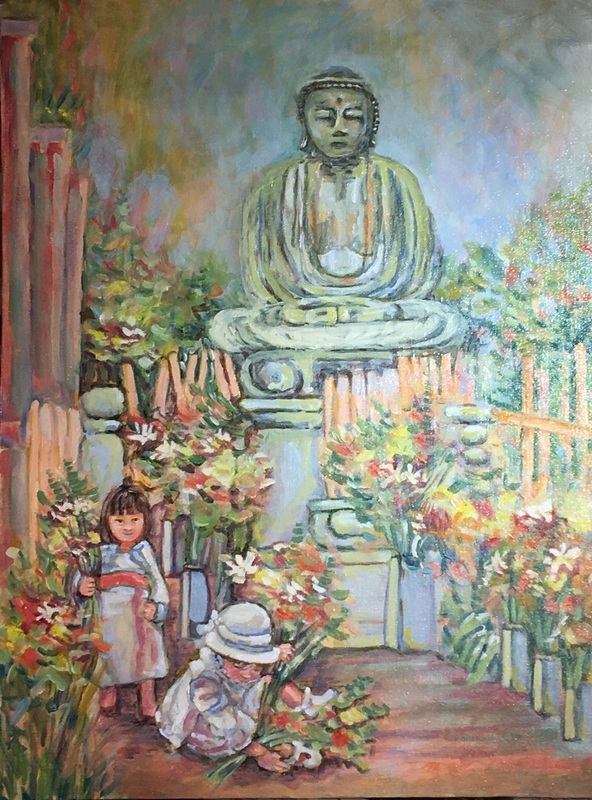 All of Stephenson’s book covers feature her artwork and, though she’s mostly known for her commissioned oil paintings of children, she has also done paintings inspired by such places as Nepal, Jordan, Mongolia, India, Russia, Peru and Morocco. 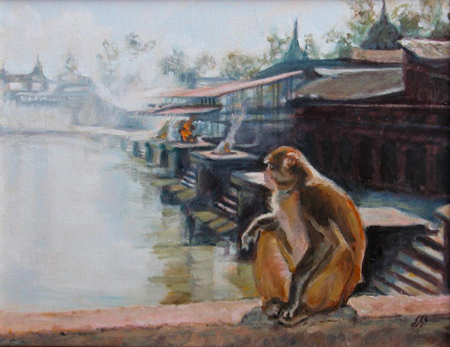 Stephenson says that when she is abroad, she often will do sketches and takes photographs of scenes that she will later share through paintings. “Quite often an oil painting is a composite of several photos and memories of one single event,” said Stephenson, whose work hangs in homes all over the world. 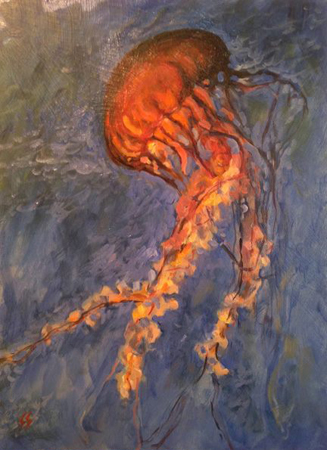 She has also exhibited locally at the Morris Graves Museum of Art and the Westhaven Center for the Arts and through the Redwood Art Association. 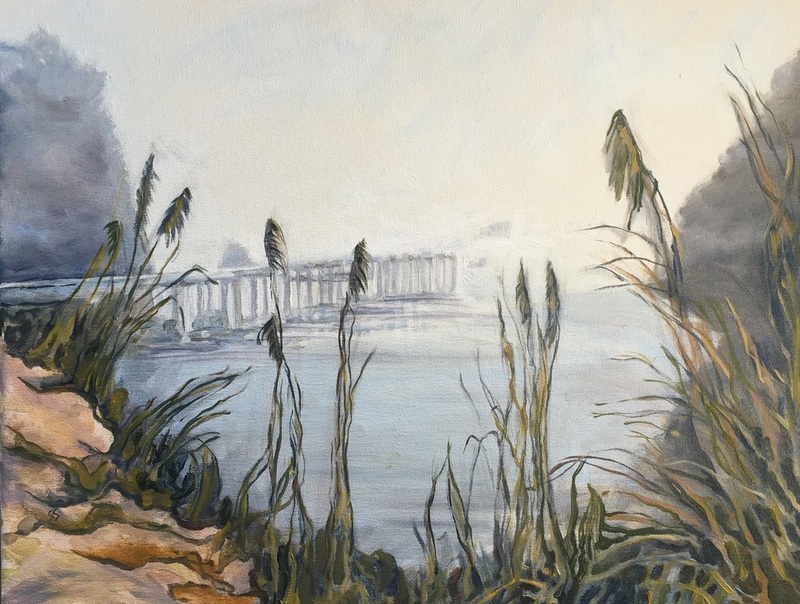 Although she travels the world over, Stephenson says she is always struck by the beauty of the North Coast upon returning home — and also enjoys creating paintings of local scenes. “The ocean is my inspiration, the source of peace and wisdom,” she said. 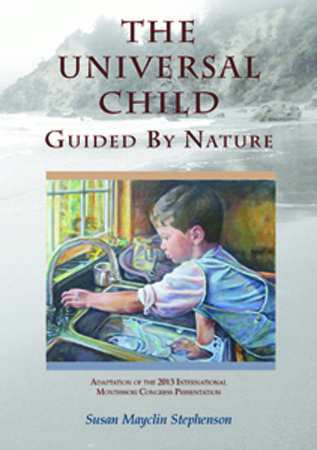 Stephenson’s books are available at the Trinidad Art Gallery, the Michael Olaf Montessori Company in Arcata and on Amazon.com. 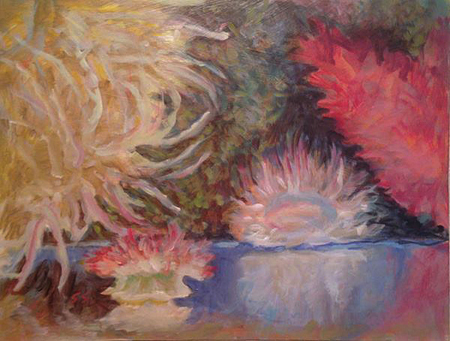 To follow Stephenson’s art blog, go to www.susanart.net. Since 1963 Susan has traveled to more than sixty countries researching cultures and collecting and recording interviews and images that inspire her writing and painting. Her love of travel and learning about cultures, has led her to places as unusual as a nomad family's ger (or yurt in Russian) in Mongolia, attending prayers in a mosque in Albania, observing healing practices in a Koran madrassa in the mountains of Morocco, lecturing at universities in the USA and recently in Lima, Peru, and twice meeting the Dalai Lama. She celebated her 60th birthday visiting the Potala, or winter palace of the Dalai Lama, in Lhasa, Tibet. 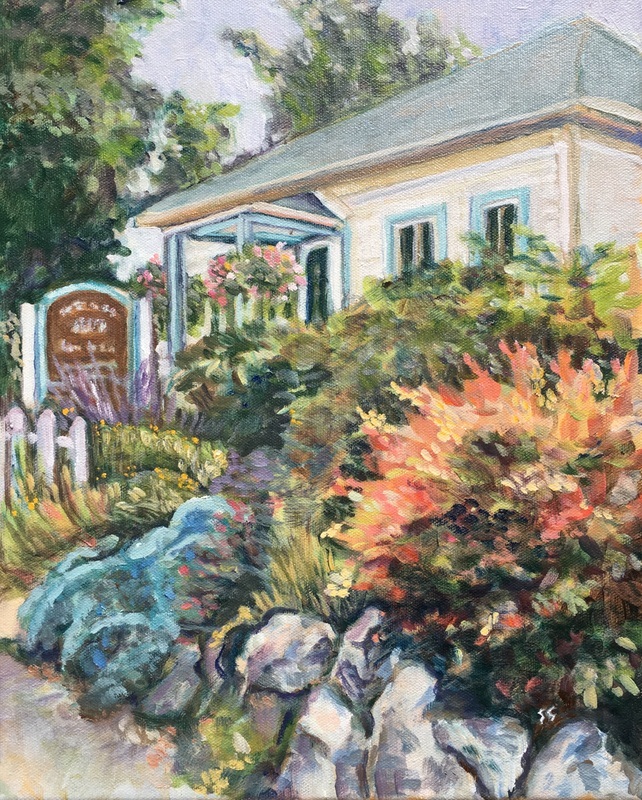 Susan has exhibited locally in the Morris Graves Museum and the Redwood Art Association where she won Best of Show. 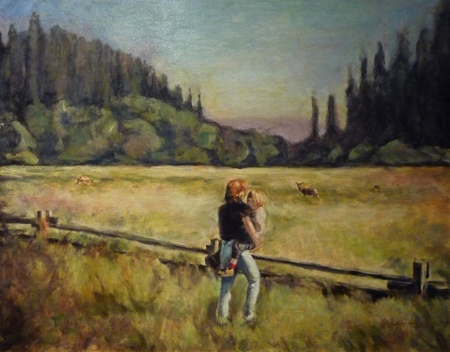 Her paintings span a wide spectrum of images from commissioned portraits and landscapes to abstrects. These are some representative pieces. 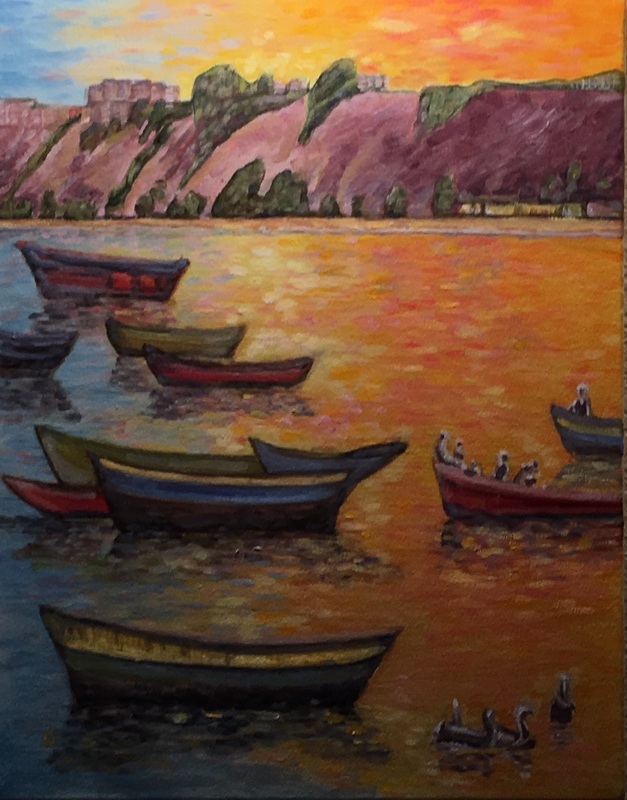 Please visit Trinidad Art Gallery for the latest available pieces. 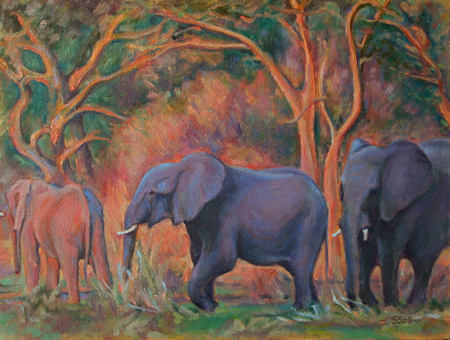 Susan's original oil paintings can be found in elegant homes in Asia, Europe, Africa, Australia, South America, and North America. 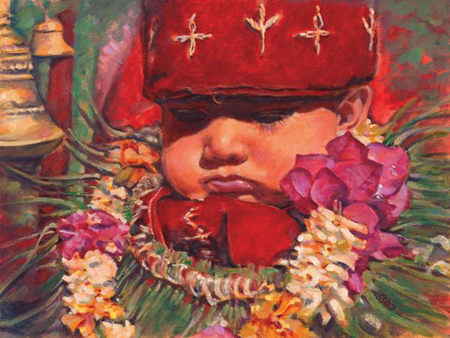 Giclée prints of her most widely appreciated originals are available as small "box-framed prints". 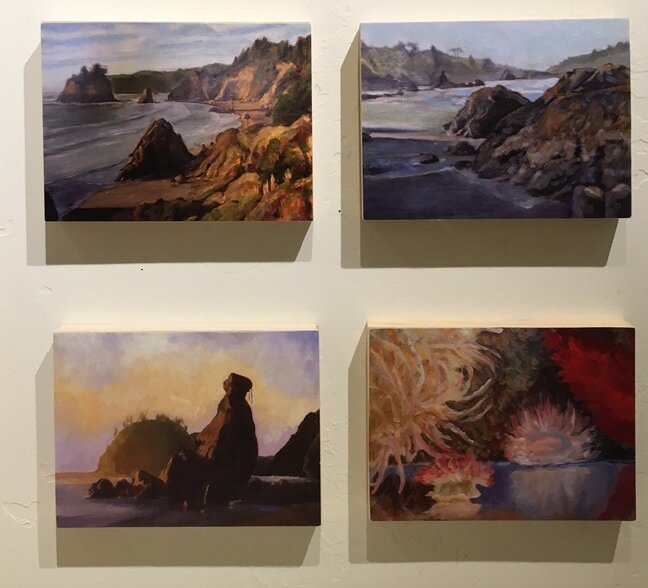 These 5" x 7" miniature giclées have been professionally printed, mounted on a block with an elegant black hand-painted edge, varnished, the information on the painting printed on the back – all done by Susan in her Trinidad studio. They are ready to hang. The price of each is $32. CARDS: 5" x 7" cards with envelope and plastic sleeve are also available at the gallery, the store All Under Heaven in Arcata, and at the Lighthouse Grill in Trinidad. The cost of each is $4 or 3/$10.